Jane is the founder and founding co-artistic director of Book-It Repertory Theatre, with Myra Platt. In her 30 years of staging literature, she has performed, adapted, and directed works by such literary giants as Charles Dickens, Eudora Welty, Edith Wharton, Kurt Vonnegut Jr., Pam Houston, Raymond Carver, Frank O’Connor, Jim Lynch, Ernest Hemingway, Colette, Amy Bloom, John Irving, John Steinbeck, Daphne du Maurier, and Jane Austen. A veteran actress of 35 years, she has played leading roles in many of America’s most prominent regional theatres. 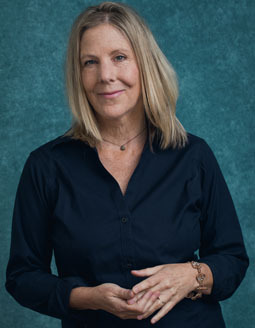 She co-directed with Tom Hulce at Seattle Repertory Theatre, Peter Parnell’s adaptation of John Irving’s The Cider House Rules, Parts I and II, which enjoyed successful runs in Seattle, at the Mark Taper Forum in Los Angeles (Ovation Award, best director) and in New York (Drama Desk Nomination, best director). Jane’s most recent directing credits include Native Gardens at Arizona Theatre Company. With Portland Center Stage she directed, Cyrano, Twelfth Night (Drammy awards, Best Direction and Production) and Book-It’s adaptations of Great Expectations and Pride and Prejudice. For Book-It her credits include The Maltese Falcon, A Moveable Feast, What We Talk About When We Talk About Love, The Dog of the South, Adventures of Huckleberry Finn: Uncensored, Truth Like the Sun, The House of Mirth, The Highest Tide, Travels with Charley, Pride and Prejudice, Howard’s End, In a Shallow Grave, The Awakening, Owen Meany’s Christmas Pageant, A Tale of Two Cities, and The Cider House Rules, Parts I and II, winner of the 2010 and 2011 Gregory Awards for Outstanding Production. In 2008 she, Myra Platt, and Book-It were honored to be named by The Seattle Times among seven Unsung Heroes and Uncommon Genius for their 20-year contribution to life in the Puget Sound region. She is a recipient of the 2009 Women’s University Club of Seattle Brava Award, a 2010 Women of Influence award from Puget Sound Business Journal, and the Paul G. Allen Family Foundation’s 20th Anniversary Founders Grant and was a finalist for the American Union for Stage Directors and Choreographers Foundation’s 2012 Zelda Fichandler Award. 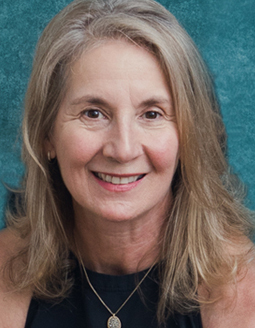 As the founding co-artistic director with Jane Jones, Myra has helped produce over 85 world-premiere mainstage productions and over 30 education touring productions. Most recently she directed and adapted the new musical Howl’s Moving Castle. 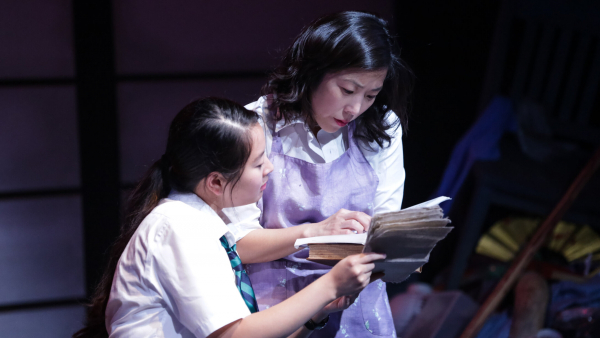 Previously, she adapted and directed The Brothers K and directed The Amazing Adventures of Kavalier & Clay (2014 Gregory Award for Outstanding Production, The Seattle Times Footlight Award). She was nominated for Outstanding Director 2012 (Financial Lives of the Poets) and 2014 (Kavalier & Clay). Other directing credits include Little Bee, The Financial Lives of the Poets, The River Why, Persuasion, Night Flight, Red Ranger Came Calling, The House of the Spirits, Plainsong, Cry, the Beloved Country, Sweet Thursday, Giant, I Know Why the Caged Bird Sings, Cowboys Are My Weakness, Roman Fever, and A Child’s Christmas in Wales. Adapting credits include I Know Why the Caged Bird Sings, Little Bee, The Financial Lives of the Poets, The River Why, Night Flight, The Art of Racing in the Rain, Red Ranger Came Calling, The House of the Spirits, Giant, Cowboys Are My Weakness, Roman Fever, A Child’s Christmas in Wales, and co-adapted Owen Meany’s Christmas Pageant with Jane Jones. Composing credits include Prairie Nocturne, Night Flight (with Joshua Kohl), Red Ranger Came Calling: A Musical (with Edd Key), The Awakening, Ethan Frome, Owen Meany’s Christmas Pageant, A Child’s Christmas in Wales, and I Am of Ireland. Acting credits include Seattle Repertory Theatre, Intiman Theatre, New City Theatre, the Mark Taper Forum, Prairie Nocturne, The Beautiful Things That Heaven Bears, The Awakening (West Los Angeles Garland Award), and Howards End. She originated the role of Candy Kendall in The Cider House Rules, Parts I and II directed by Jane Jones and Tom Hulce. Myra is the recipient, with Jane Jones, of a Paul G. Allen Family Foundation Anniversary grant, the 2010 Women of Influence from Puget Sound Business Journal, and was named by The Seattle Times a 2008 Unsung Hero and Uncommon Genius for their 20-year contribution to life in the Puget Sound region. Josh joined Book-It in 2010 as the education associate then served as literary manager for five years. Book-It credits include directing and co-adapting (with Daemond Arrindell) Welcome to Braggsville; directing and adapting Slaughterhouse-Five; and directing Jesus’ Son and Where the Mountain Meets the Moon. As a consulting director on Frank Boyd’s The Holler Sessions, he has worked at On the Boards and ACT in Seattle, the Noorderzon Performing Arts Festival in the Netherlands, PS 122 COIL Festival in New York, and the Guthrie Theater. Josh’s work has been recognized with two Seattle Times Footlight Awards as well as Seattle Theater Writers Critics’ Circle awards for excellence in playwriting and direction. 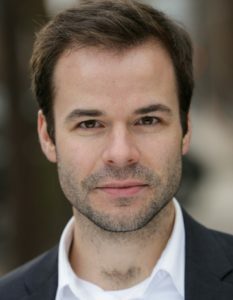 Josh is a member of the Lincoln Center Theater Directors Lab and a graduate of New York University’s Tisch School of the Arts. Kayti has been with Book-It since 2015, first serving as general manager (2015-2017) and managing director (2017-present). She looks forward to ushering Book-It into its next chapter through new strategic planning and equity initiatives. 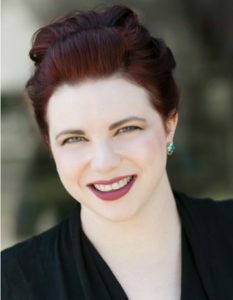 Kayti was previously the managing director at New Century Theatre Company, and a former board member for Theatre Puget Sound. Kayti is a member of the Leadership for Social Change cohort with artEquity and holds an MFA in Arts Leadership from Seattle University.